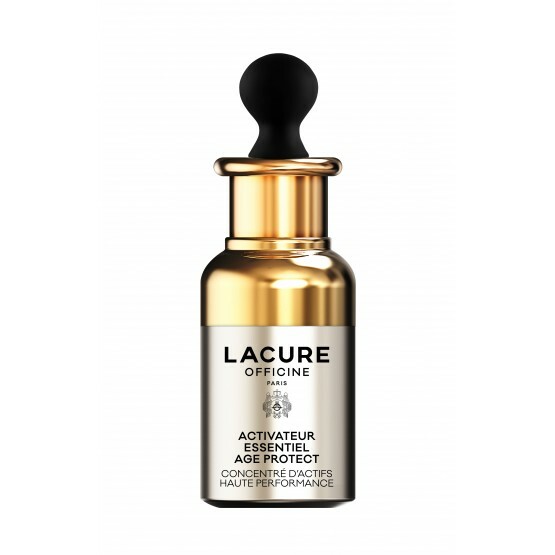 AGE PROTECT ESSENTIAL ACTIVATOR Concentrate of High-Performance Active Ingredients is a powerful serum specifically formulated from active ingredients capable of fighting the first signs of ageing. Ideal as a preventive treatment, this concentrate helps to minimise the effects of skin ageing by neutralising free radicals and fighting against induced stress. The skin is rebalanced, the complexion is bright and vitality is restored, resulting in radiant-looking skin. Day after day, your skin appears as if regenerated: your lines seem smoother, your skin toned and revitalised. It is exceptionally beautiful and radiates with youth! All LACURE OFFICINE products are formulated without parabens, silicone, MIT and phenoxyethanol. Apply morning and evening in light massaging movements all over a perfectly cleansed face and neck. 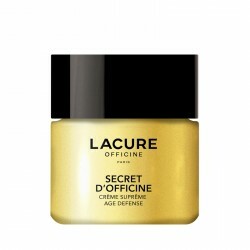 To optimise the efficacy of this product, use SECRET D’OFFICINE Age Defense Supreme Cream afterwards.